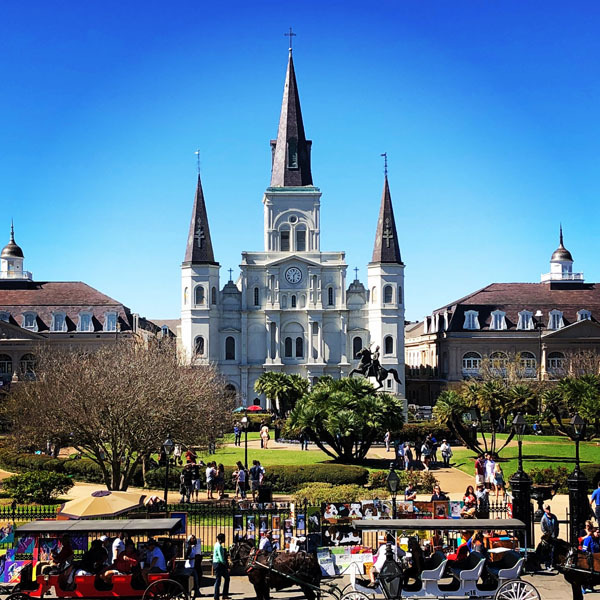 Laissez les bons temps roulez, is not just a saying but a way of life In New Orleans, and 2018 marks the Crescent City’s 300th birthday. 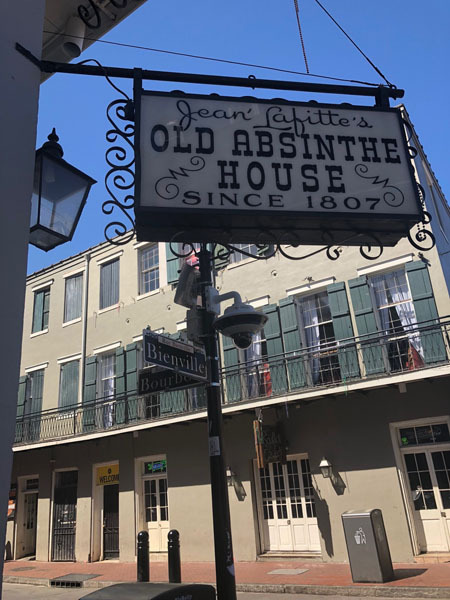 Considered to be the birthplace of jazz, it’s not uncommon to see an impromptu performance in the French Quarter or a marching band coming through an iconic restaurant. From their amazing culinary offerings to the music and arts scene in the warehouse district this is a city where decadence and indulgence are revered and just about anything goes, where every day is a celebration of life. 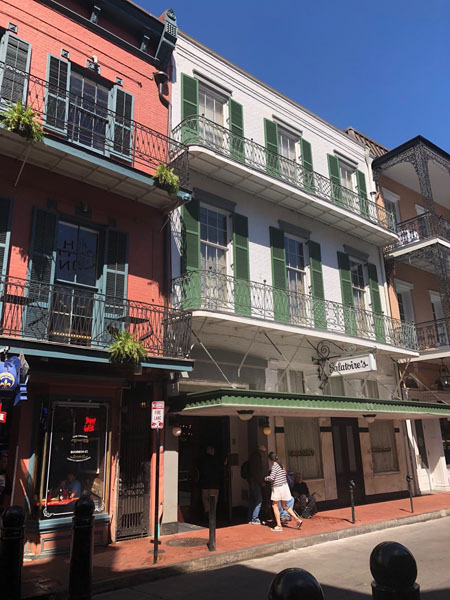 Start your journey at the luxurious and historic NOPSI hotel that is conveniently located in the CBD-Central Business District and a short walk into the famed French Quarter. 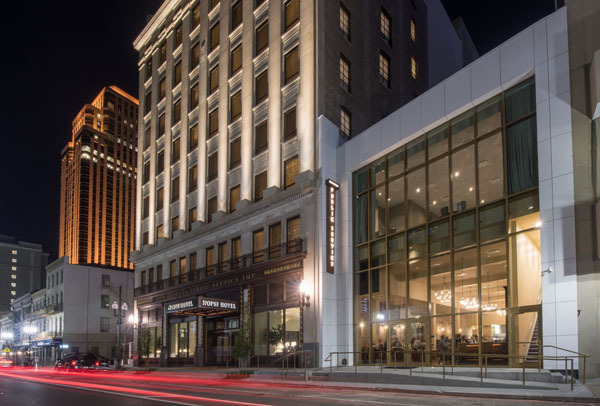 Formerly the headquarters of the New Orleans Power and Service Inc., this 1920s era historical building has been converted to a luxurious 217 room hotel with 76 suites, 14,000 square feet of gathering space, all of which feature unique architectural elements that add to the character of the building. 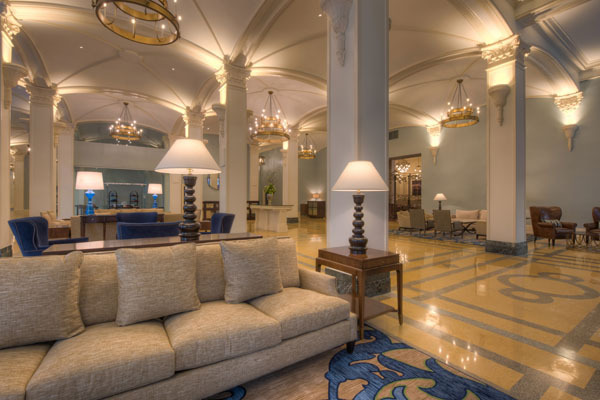 The sprawling accommodations range from 350 to 800 square feet and feature a classic yet sumptuous décor with spa like bathrooms and luxurious amenities. Live large in one of the deluxe suites that features a King sized bed and a separate living room area with a sofa, lounge chair and flat screen TV. NOPSI Hotel even welcomes our furry family members with open paws and are treated as VIPs with plush dog beds, toys, food and water bowls, as well as house made treats. Managed by the Salamander Hotels, the NOPSI Hotel is also a member of the Historic Hotels of America and LVX Preferred Hotels and Suites. In New Orleans, food is one of the pleasures of life and home to some of the best restaurants in the world. Public Service at NOPSI offers a contemporary take on Bayou cuisine using the best ingredients of the Gulf with an extensive raw bar and open kitchen in a convivial and comfortable setting. Specialties of the house include Louisiana shrimp with crab boil nage and andouille sausage, blue crab dip, a succulent burger made with short rib, whole roasted Gulf catch of the day, fried oysters with bacon marmalade and pepper jelly, and their signature juicy rotisserie chicken with heirloom relish. Save room for their rich and tempting desserts such as the caramel pecan brittle pie or the NOPSI bread pudding with bourbon butter sauce. Since 1905, Fridays at the historic Galatoire’s has been a New Orleans tradition. Every Friday afternoon the first floor of this iconic French Quarter institution turns into New Orleans power scene gathering a who’s who of Old Money socialites and businessmen, politicians, and elite. Being an egalitarian city, they don’t take reservations so VIPs hire “line sitters” to snag a place in line before it opens at 11:30 am when the revelry begins that is fueled by Bloody Marys, champers, dirty martinis and Sazeracs. 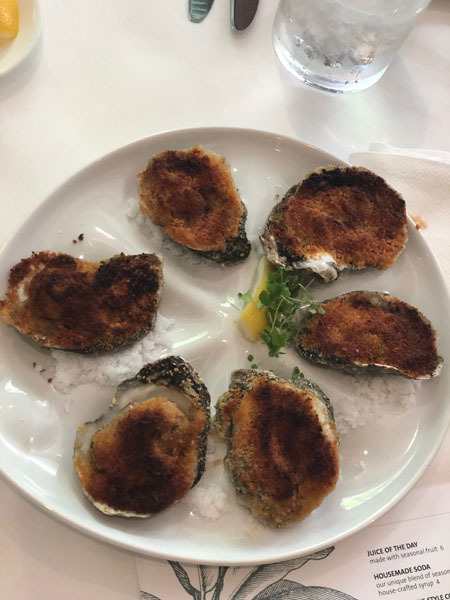 Enjoy the scene as well as the traditional New Orleans cuisine such as seafood gumbo, Oysters Rockefeller, shrimp remoulade, shrimp etoufee, crabmeat Sardou, and the specialty of the house- the flaky redfish meuniere amandine crisped with sliced almonds. Enjoy brunch in one of the prettiest dining rooms in New Orleans at Brennan’s- a New Orleans tradition since the 1950s. The lush dining room surrounds a beautiful garden courtyard and features plush banquettes with trump l’oeil scenery on trellised walls that evoke a romantic conservatory. The brunch menu features a decadent selection of traditional Creole and New Orleans dishes such as turtle soup, BBQ lobster, seafood gumbo, crispy chicken and waffles, vanilla and rhubarb French toast, eggs Benedict, and bananas foster. Kick start your day with a strong chicory & dark roast coffee, or cure a hangover with a spicy house made Cajun Bloody Mary. For a casual meal or take away, stop by the CBD’s latest contemporary and modern eatery, Willa Jean. Diners come for the fresh baked goods, extensive coffee and fresh pressed juice selections as well as elevated comfort fare with Southern influences including a delicious rendition of the New Orleans BBQ shrimp toast. One of the most ambitious fusion restaurants in New Orleans is Maypop which seamlessly blends Southeast Asian, Mediterranean and New Orleans ingredients. Dishes are beautifully plated and explode with unique flavor combinations. The modern dining room has an industrial feel serving as the perfect backdrop for what is to come. Specialties of the house include a red pepper cavatappi with piquant alligator sauce, crawfish saffron curry with bone marrow, spicy mapo noodles with blue crab and pork sausage, and crispy fried oysters with soy aioli and Manchego cheese. Cocktails are equally as creative with potent libations such as the Bangkok Mule- a traditional Moscow Mule with lemongrass, and the Mekong Collins with basil, mint, grapefruit, and rose lemonade.